It is no surprise that Jessica Henry’s oil paintings are described as “Classically Impressionistic”. While maintaining the discipline of her classical training, Jessica employs thick, rich brushwork using jewel-like colors, which reflect light dancing. Jessica began her career in art at the age of 15, where she sold her paintings and studied avidly under the direction of Harvey Schroeder in Elk River, Minnesota. In 1997, Jessica moved to Joseph, Oregon, where she became the owner and operator of The Joseph Art School, but eventually gave up her position for a family life. Yet, even with a family, Jessica’s career took her from coast to coast, where her work was showcased and eagerly collected. Jessica has not only participated in numerous group and solo exhibitions throughout North America, but she has been invited to participate in nationally juried art exhibitions, including Grand National Rodeo Fine Art Show in San Francisco, California, New York Film and Arts Festival in Las Vegas, Nevada, Central Coast National Fine Arts Competition in Morro Bay, California, the Art League of Hilton Head in South Carolina, and more. A nationally recognized artist, Jessica has won numerous awards and honors, including Viewer’s Choice Award at the 2013 Newburyport Art Association in Massachusetts, and “Best of Show” at the nationally juried Germantown Art League in Memphis, Tennessee. Celebrated in her home state of Minnesota, Jessica won “Best of Show” at Art Soup in Elk River, while in Maple Grove, Jessica won “Best of Show” at The Red Show, and the Award of Excellence at the Maple Grove Arts Members Show. Additionally, Jessica belongs to over a dozen nationally recognized professional artist organizations including the American Impressionist Society and the Portrait Society of America. 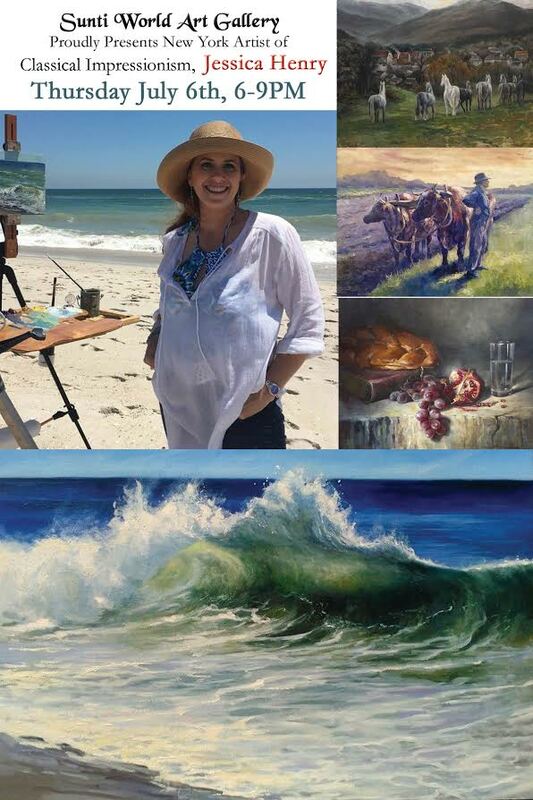 Her work has been featured in many national publications such as the December 2016 issue of “Western Art Collector,” and her work has graced the front cover of both TOSCA magazine and the 2016 Golfer’s Almanac. Whether Jessica is painting a poetic landscape, a mysterious still life, or capturing a personality in a portrait, her work resounds with joyous light and sumptuous paint quality.